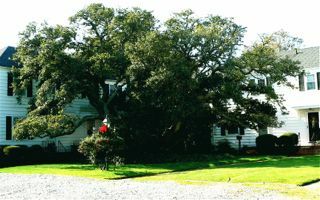 Tree Deal in Viginia Beach! Virginia Beach residents, the Friends of Live Oaks have a deal for you! The friends group will give away 250 live oak trees to residents in October. These are no puny little seedlings. The trees are 6 to 7 feet tall and in containers. All you have to do is go online to www.friendsofliveoaks.org and fill out a request form by October 8. Or, pick up an order form at any Virginia Beach public library. Recipients will be notified that week and trees must be picked up at the Lynnhaven River Now Fall Festival from 11 a.m. to 4 p.m. October 13 at Pleasure House Point. Planting instructions and plastic bags to protect your car will be provided. The trees are free and by planting one, you can do your part to help.